The 18th Meeting of the Council of Heads of Member States of the Shanghai Cooperation Organization (SCO) held in Qingdao, east China's Shandong Province, is the first gathering of its eight member states since India and Pakistan were granted full membership last year. The Qingdao Summit is of great significance and has ushered the organization into a new era. Its results will have a great impact on the future of the SCO. A declaration was issued on June 10 which covered a wide range of areas including politics, security, economy and cultural exchanges. The document said, in part, that amid the increasingly diverse and multipolar geopolitical situation and growing uncertainties, the international community is in urgent need of seeking common ground and effectively coping with global challenges. SCO members have made building a community with a shared future for humanity a common concept, according to the declaration. The organization is set to play a more important role in building a community with a common destiny and becoming a positive force in global governance. In his keynote speech, President Xi Jinping attributed the SCO's strong vitality and cooperation momentum to the Shanghai Spirit, which champions mutual trust, mutual benefit, equality, consultation, respect for diverse civilizations and pursuit of common development. Xi elaborated the concepts of development, security, cooperation, civilization and global governance in his speech, enriching the meaning of the Shanghai Spirit and entrusting the organization with new historical missions. "We should uphold innovative, coordinated, green, open and inclusive development," Xi said, proposing common, comprehensive, cooperative and sustainable security and calling for extensive consultation, joint contribution and shared benefits in global governance. During the summit, the leaders of member states signed a number of documents and agreements on expanding friendly relations, fighting the three evil forces of terrorism, separatism and extremism, and promoting trade facilitation. Under the agreements, the Belt and Road Initiative will be dovetailed with the member nations' respective development strategies and regional cooperation frameworks, while people-to-people and cultural exchanges will be strengthened. The Qingdao Summit has gone beyond theories and concepts, outlining a roadmap for concrete action. For example, China will set up a special lending facility of 30 billion yuan ($4.7 billion) within the framework of the SCO Interbank Consortium to promote common development. It will also provide 3,000 training opportunities in human resource development for SCO member nations in the next three years to enhance public understanding and support for the organization. 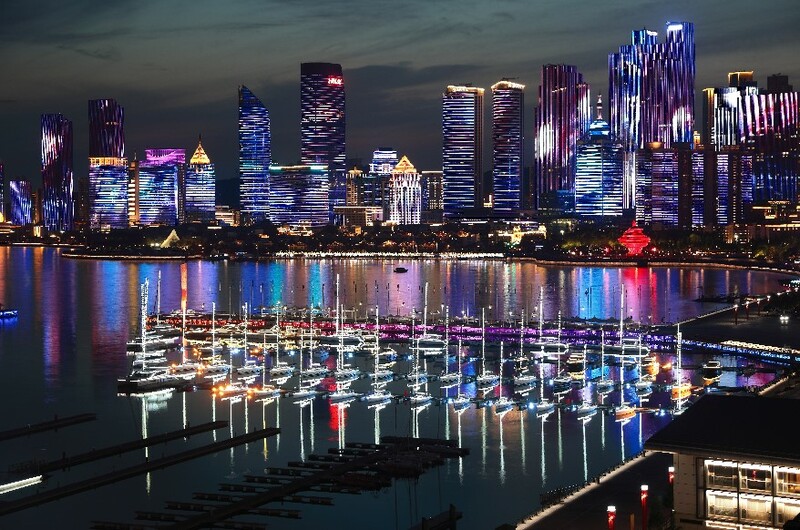 The Qingdao Summit is set to become a landmark event in the SCO's history.